UPDATE — FBI news release: Seven-month-old Emma Grace Kennedy has been found safe, and her father, Carl Ray Kennedy, has been arrested. Danville Police, FBI, Randloph County Sheriff’s Office and U.S. Secret Service arrested Kennedy in Randleman, N.C. He is in custody in North Carolina. Emma Grace Kennedy appears to be in good health and is being evaluated at a local hospital. The mother of the child has been notified. An Amber Alert was issued for Emma Grace Kennedy, but it has since been canceled. PREVIOUS: The Virginia State Police and the Virginia Missing Children Clearinghouse has issued an AMBER Alert on behalf of the City of Danville, VA for a child abduction that occurred on June 3, 2018. The child is believed to be in extreme danger and was last seen at the Kwik stop on Riverside Drive, Danville, VA on June 3, 2018 at 7:55 pm. 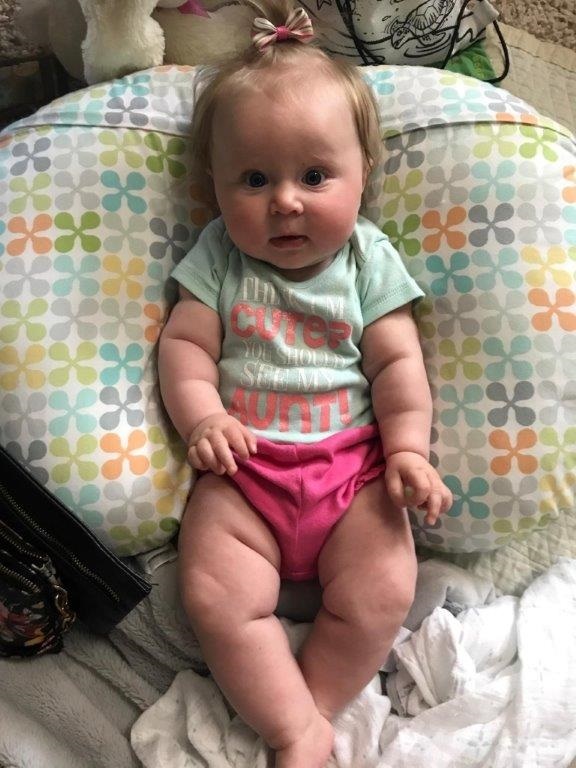 Abducted is Emma Grace Kennedy, White, Female, Blond hair, Blue eyes, 7 Months Old, 2 foot 2 inches tall, weighing 18 lbs, Last seen wearing a light blue onesie. The child is believed to have been abducted by Carl Ray Kennedy, White, Male, Gray hair, Green eyes, 5 foot 8 inches, weighing 170 lbs, Last Seen wearing a brown short sleeve shirt with gray shorts and black and white sketchers. He has a Tattoo of a skull on his Left forearm. Tattoo of a Skull with bandanna over the mouth on right forearm. An eye tattoo on the back of his right hand. Upper right arm pitbull with american bulldog written under it and a wizard on his left upper arm.